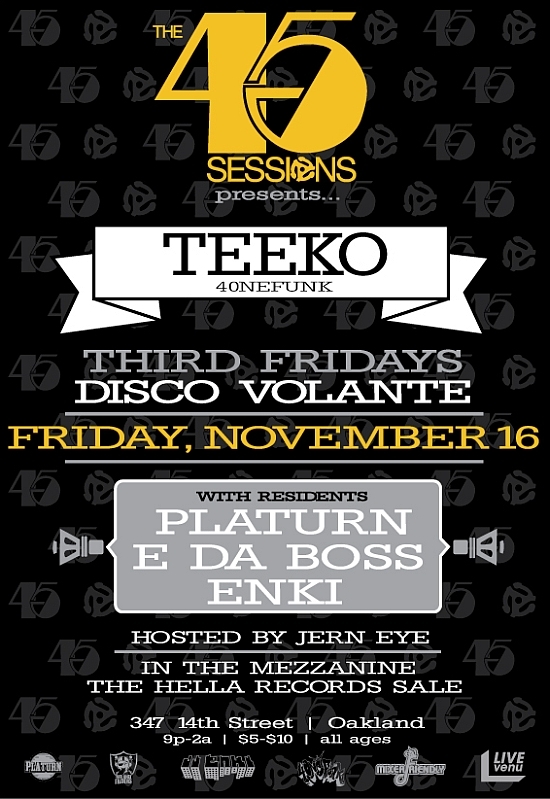 One of our favorite people and DJs in the world is joining us for the 33rd installment of the 45 Sessions. DJ TEEKO (of 4ONEFUNK F.A.M.E.) is a monstrous talent who’s recent work includes collabos with none other than Mark Ronson & D’Angelo, and because he is Sir Slumpafunk we’ll be doing a special segment of the night dedicated to 45s on 33. Come see what that’s all about!